The Kwara Signage and Advertisement Agency has threatened to remove billboards of any political office seekers erected in various parts of the state without payment of prescribed fees as approved by the Agency. Alhaji Ahmed Olufadi, the General Manager and Chief Executive Officer of the Agency, gave the warning in an interview with the News Agency of Nigeria (NAN) in llorin on Monday. According to him, over 90 per cent of billboards in the state are guilty of the offence. “Most of those seeking political office in the 2019 dispensation in the state erected their billboards and posters illegally. “We always wake up and find billboards and posters in major streets, especially in the state capital without approval to that effect, this is lawlessness, most of the billboards and posters are done in the night,” Olufadi said. He, however, gave a week ultimatum to all political office seekers that have erected billboards or posters without the due payment or approval to remove them in their own interest. Olufadi said the agency is collaborating with the Department of State Security Service (DSS), Police and other security agencies to ensure the removal of all illegal billboards and posters at the expiration of the one week ultimatum. “The removal of illegal billboards will be executed without consideration of persons involved; I mean that no matter how highly or lowly placed in the society, once the approved due is not paid, such billboard will be removed,” he added. 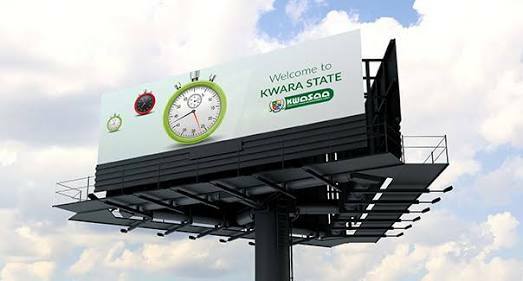 He said the agency will not approve erection of billboards that constitutes nuisance to motorists and pedestrians in any part of the state. NAN reports that some of the erected billboards in parts of the state capital have been damaged by rainstorm.